With spring here, we get beautiful weather, sunshine, and spring flowers to brighten our day! Sadly, there are some negatives to spring - allergies! However, today I get to share a great product that can help with your spring allergies - SmartSilk pillows! 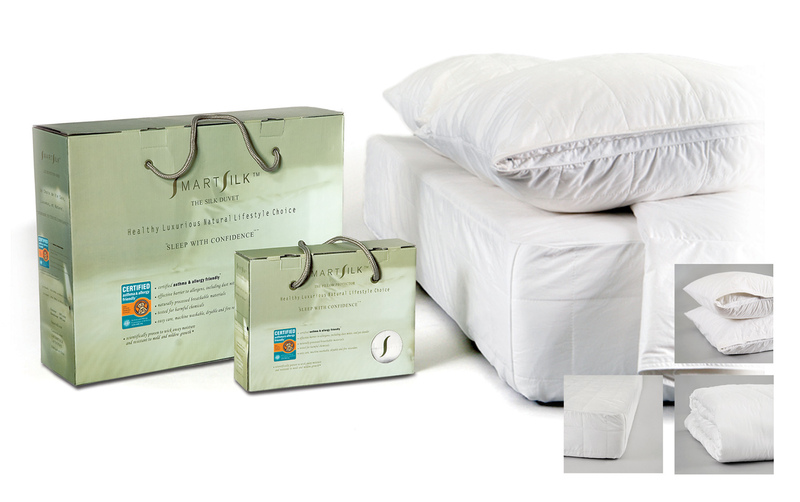 SmartSilk™ products are certified to be chemical free, fire retardant and made with all natural SmartSilk™ silk fill. Also, SmartSilk™ products are resistant to mold & mildew and will not retain odors. All of their products are environmentally friendly machine washable with cold water and can be tumble dried on a low heat setting. They also include a 10 year warranty on manufacturer defects with a 60 day, 100% satisfaction money back guarantee. The SmartSilk™ Pillow offers a delightful sleeping experience with luxurious blend of all natural and luxurious material. They begin with the cozy silk-filled liner that smoothly borders the entire pillow. The all-natural soft cotton outer shell then encases their unique all natural polyester micro gel fiber filling providing you with a very comfy combination for a relaxing night's sleep. In addition, The SmartSilk™ Shield Advantage offers a proven barrier against allergens, dust mites and pet dander that live on most down and synthetic pillows. The SmartSilk™ Pillow has been certified asthma & allergy friendly™, ensuring you a cleaner and uninterrupted sleep each night. I generously received two Queen sized SmartSilk pillows! I have never had queen sized pillows before so I absolutely love the nice generous size! They fit perfectly on our queen sized bed! 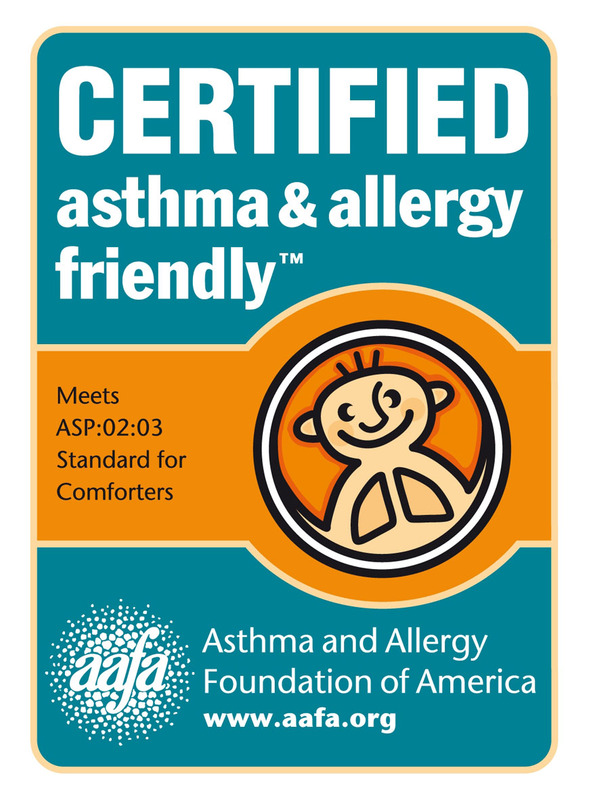 I also love that they are made from all natural materials and, of course, how great they are for asthma and allergy sufferers because their natural barrier against allergens, dust mites and pet dander that live on most down and synthetic pillows. If you like soft, flatter pillows, then you will love SmartSilk pillows. They were a little too flat for my preference. However, once you lie your head down, the pillow conforms to your head and is really comfortable. If you suffer from allergies this spring or are planning to replace your pillows while Spring Cleaning this season, then make sure to check out the SmartSilk pillows! I know I LOVED replacing my old, disgusting pillows with these new, generous sized, allergy and asthma safe pillows! Buy It: You can purchase SmartSilk pillows (starting at $50) from the SmartSilk website. 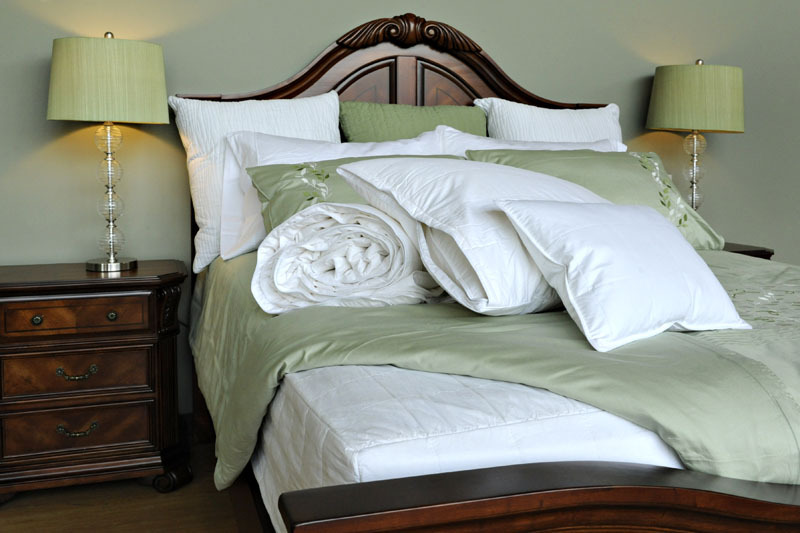 Win It: SmartSilk is generously offering (2) Queen Size Pillows to a lucky winner!